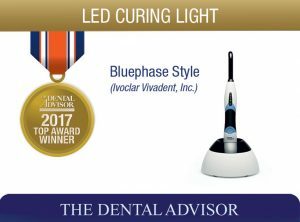 Bluephase Style is a cordless LED curing light designed with “polywave” broadband spectrum technology making it suitable for the polymerization of light-curing dental materials between the wavelengths of 385-515 nm. This includes restoratives, bonding agents/adhesives, bases, liners, fissure sealants, temporaries, and luting materials for brackets and indirect restorations. It has a light intensity of 1100 mW/cm² and curing time selections of 10, 15, 20 and 30 seconds. The lithium-polymer battery is manufactured to last approximately 2 ½ years, takes approximately 2 hours to completely charge and has a total curing capacity of 20 minutes. The unit includes an induction-charging base with corded operation of the light as an option. Bluephase Style is available with blue, gray or pink color bands and includes a 10-mm light probe, three anti-glare cones, 50 protective sleeves, lithium polymer battery, charging base, and power supply cord. 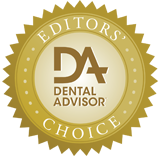 Bluephase Style was evaluated by 14 consultants in 605 uses. 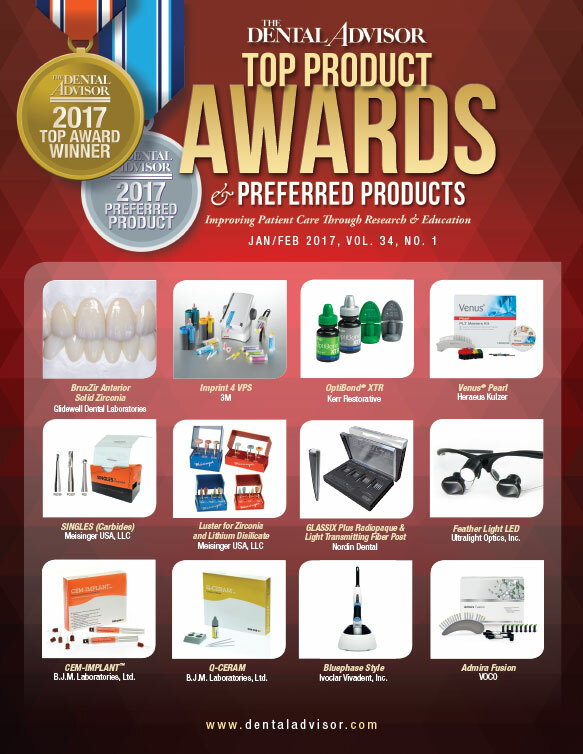 This LED curing light received a 96% clinical rating. 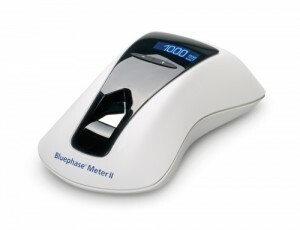 Bluephase Style is a slim, lightweight curing light with comfortable ergonomics. The pen-style light is designed for simple use and has only two buttons. Consultants found this light reached posterior teeth well. Eighty-six percent would switch to Bluephase Style and would recommend it to a colleague.